Oil painting on wood panel. Artist's caption: "Kaplan’s, still there today at Third and Poplar." 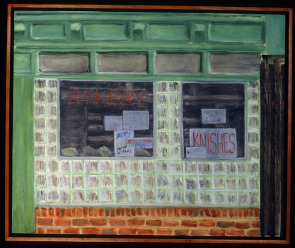 Image shows front window with signs: "Bakery" and "Knishes."